The freedom of the suburbs, and of the suburban style of development embraced by the city of Baxter and thousands of other communities across the country, is built on the backbone of automobile transportation. For this system to work, automobiles need to get where they are going quickly and easily at any time of the day. The arch enemy of this development pattern: congestion. On Monday we looked at growth predictions used by Baxter to justify huge investments in their transportation system. We questioned whether or not a mathematical analysis and a spreadsheet that predicted a greater growth rate in the coming two decades than the last two was realistic. We offered that a deeper understanding of what conditions created the recent boom and how those conditions have changed may create some doubts about an exponential growth projection. We followed that up on Tuesday with an explanation of why these aggressive growth predictions are not more closely examined. The auto-oriented model of development assumes continuous growth because continuous growth is essential to maintaining the system. There are no incentives for anyone inside the system to question the underlying assumption and every incentive to accept the premise. Today we are going to look at the impossible choice this thinking forces communities to make, the one facing Baxter right now. That choice is between placing a proactive bet on growth or risking a costly reaction to growth at a later date. First, however, we need to make sure that everyone understands the concept of neighborhoods versus pods and the funnel effect inherent with suburban style, auto-oriented development. The building increment of the traditional pattern of development from the pre-automobile period was the neighborhood. While not completely self-contained, these areas had a diversity of uses (commercial and residential, for example) and a diversity of housing styles and price ranges. Out of necessity (there were no cars), things were within walking distance. As neighborhoods expanded outward, the pattern was repeated and new neighborhood centers would emerge. As neighborhoods grew and evolved, the development within each would become more intense. This pattern can be observed all over the world in places that developed prior to the emergence of the automobile. The building increment for suburban development is the pod. For good reasons (reasons that no longer exist in the way they did in the industrial era), planners began to zone properties to separate noxious uses out of areas where people live. We used to locate smelting plants next to apartment buildings, to the benefit of neither. Creating a pod for industrial uses that was separate from the pod designated for residential uses addressed this problem. Using if a little is good, more must be better mentality, the planning profession started separating everything into pods. Today we have pods for retail, pods for offices, pods for manufacturing, pods for big houses, pods for smaller houses, pods for apartments, pods for super-big houses and on and on. This separation is done through zoning. The defining characteristic of this development pattern is the separation of uses. Of course, the device that makes pod-mania possible is the automobile. We drive between pods at the designated times. This is where an understanding of the funnel effect is critical. Suburban development is organized in a hierarchy that is easily understood through street designations. Communities will have local streets, collector streets, arterials and major arterials. On the typical commute one would start on a local street (big), drive to a collector (bigger), the collector would empty into an arterial street (bigger yet) and the arterials would empty into the major arterials (biggest). The traffic is funneled into these major arterials. Remember, the arch-enemy of the suburban, auto-oriented development pattern is congestion. 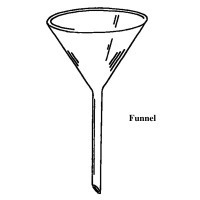 This means that the neck of the funnel needs to be sized properly to handle all of the future growth on the periphery. 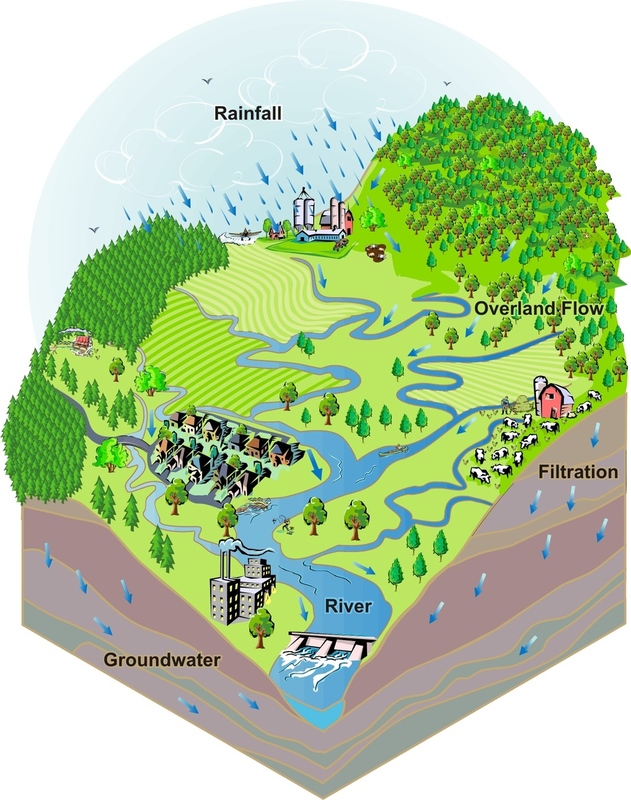 Much like rain in a watershed, a little bit spread over a broad area can compound into a significant volume once the neck of the funnel is reached. This gets us to the critical choice all communities that adopt this development pattern are forced to make: are you proactive or reactive? On Monday we wrote that the people making decisions in Baxter were highly competent. They are. In this model of development - the suburban, auto-oriented model - they are masters. In every situation I have observed, they have chosen the proactive position. In the constraints of the model, this approach has served them well. The proactive position would have the community plan for aggressive growth - almost absurd levels of growth - so that adequate capacity is created in the "funnel necks" in the system to handle whatever happens in the future. The advantage of this approach is that it is vastly less expensive to oversize this infrastructure early on than it is to retrofit it later for more volume. There are three major downsides to the proactive approach. The first is obvious: the community is forced to make a significant financial bet on future growth that may or may not materialize. Since covering the cost of the bet is dependent on continued future growth, there is significant risk involved. If it does not materialize, things can go bad very quickly. The other two immediate downsides have to do with the result of excess capacity. The first is a problem called induced demand. A residential street may have served a neighborhood well but widen it and now it becomes a great shortcut for the rest of the community. Since all this new capacity now exists and it is all so convenient, we take more trips. There isn't any additional real demand - it is just the same people driving more because it is now really convenient. The second is the fact that the further the community gets from that initial investment, the less compelled everyone feels to get a return on that investment. The investment is made and those are now sunk costs. In time those are absorbed into the system and become less acute. This is why you see suburbs with all of this vacant land with full roads and utilities while the backhoe is planting more pipe on the periphery. As we pointed out yesterday, everything in this model is forsaken due to dependence on new growth. Vacant land between Mills Motors and Target in Baxter, MN. 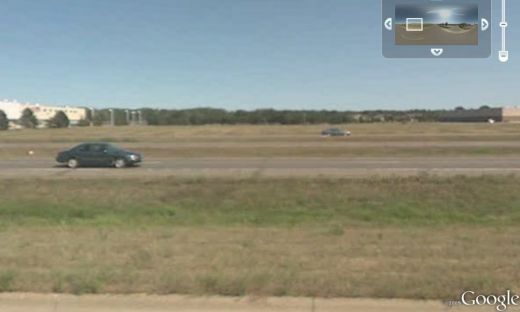 Image taken from Google Street View. But when a community does not get a return on the investment, the long-term gap in revenue needed to maintain the infrastructure grows even wider. With the proactive position a community takes a large bet on growth, but with the reactive position the community risks an even greater expenditure. Congestion creates the decline of the suburban development pattern. A community that fails to properly oversize the the necks of their funnels will, if growth occurs, be overwhelmed with congestion. To avoid rapid decline (the double-edged sword with cars is that they can always go somewhere else, after all), the reactive community is forced to spend tremendous sums of money retrofitting their infrastructure to accommodate the volume and rid their system of congestion. This makes the proactive approach look like cheap insurance (cheap being a relative term here). The engineers reading this post - and perhaps even some of our readers - are saying, "yeah, those are the choices." Really? Do we accept that? The suburban, auto-oriented model has presented Baxter, and thousands of similar communities, with two choices. There is a third choice, however, and that is what we will detail in our final posting in this series tomorrow. Tuesday: Growth. I love you, I need you, I want you! Thursday: What a different approach would look like.